If Barack Obama decided to change his vice president in the run-up to the 2012 election, who would make a good VP choice? My response to question posted on Quora . . . 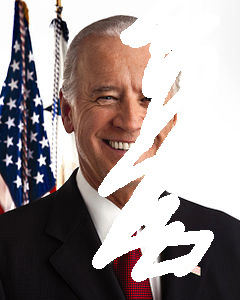 The only way Obama would dump Biden if Biden got caught in some salacious scandal or Biden was suffering from a major medical illness that would impede his ability to do his job or the job of the president if something happened to Obama. The ramifications for Obama dumping Biden for some other reason(s) than the above would be serious. Obama would constantly face questions such as “Did you dump Biden because you were afraid that you would lose the upcoming 2012 election?” or “Did you replace Biden because it was politically expedient to do so?” Obama would end up spending so much time defending his VP switcheroo that it would be even harder to stick to his campaign agenda while fighting off the GOP presidential ticket. Replacing his VP would be a sign of weakness, no matter how Obama and his campaign team would try to spin it. Also, Biden seems to still have pull with traditional/long-standing democrats (whites, blacks, etc. ), independents, progressives, women, the 50+ crowd and those who appreciate that he’s not a slick-looking, smooth-acting politician (the under 40 crowd). That’s a lot to give up (replacing your VP) for one who might be able to attract the Latino vote and/or those small, iffy pockets of conservative democrats and moderate republicans. Link to more answers to Quora question: If Barack Obama decides to change his vice president in the run-up to the 2012 election, who would make a good VP choice?